Web testing is the name given to software testing that focuses on web applications. Complete testing of a web-based system before going live can help address issues before the system is revealed to the public. Issues such as the security of the web application, the basic functionality of the site, its accessibility to handicapped users and fully able users, its ability to adapt to the multitude of desktops, devices, and operating systems, as well as readiness for expected traffic and number of users and the ability to survive a massive spike in user traffic, both of which are related to load testing. 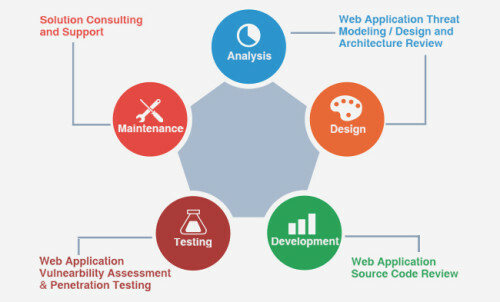 OdiTek has rich experience in Web Application Testing and Website Testing services. Oditek Solutions has tested and delivered various websites and web based applications. We provide daily test report for our client which will help them to stay updated about the project progress. We have 5+years of Experience in the web app develope and testing technologies. Team of highly experienced test engineers with average experience over 5+ years etc. NeoLoad : It is a Neotys load and stress testing tool for Windows, Linux, and Solaris, available in English and French with the latest version 4.2, designed to measure, analyze and improve the performance of the website. LoadUI : A load testing tool “LoadUI” latest version is 2.7, written in Java, JaveFX, and Groovy language, and supports all platforms. Mostly,support web services and SopaUI 5.0 (functional testing tool). TestCafe v14.1.3- It is aDevExpress web testing framework to test all web applications of Windows, MacOS, and Linux OS.